Michael could you benchmark this distro vs Ubuntu or Mageia? OpenMandriva use in default LLVM/Cland as only one distro and also use special kernel optimization. So, maybe this is good time to test it? 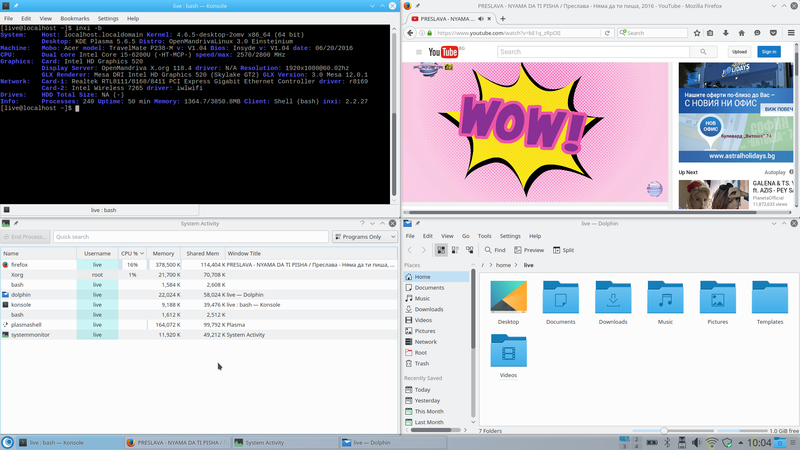 Maybe it is like Clear Linux or not but worth to test it. Should have said "..thinking this LLVM/clang based distro.." of course. Why can't I edit my posts any more? vBulletin is crap, and does not spam-filter post edits, so bots were abusing this by posting innocent things then editing them into spam. Micheael has disabled the feature for non-Premium members until he can find a better way to deal with that. That said, a distro compiled with LLVM does make a lot of sense in distro benchmarks.